A wolf went out to look for his breakfast. Up on a steep cliff he saw a goat. “Do not be afraid,” answered the goat. The hungry wolf showed his teeth; but little harm could he do. 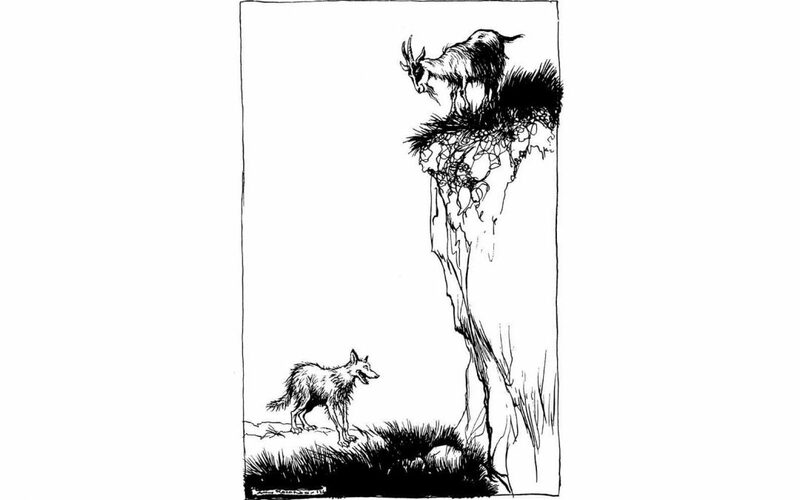 The goat was already far away, and the wolf had yet no breakfast.